What is an Endovenous Ablation? The endovenous procedure is a minimally invasive treatment alternative for patients with a condition known as superficial venous reflux, which often results in varicose veins and other painful symptoms. Approximately 25 million people suffer from venous reflux. 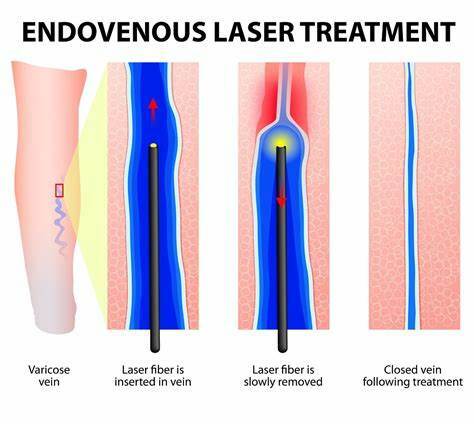 The endovenous procedure, an alternative treatment option to traditional vein stripping surgery, brings state-of-the-art technology to an age old disease by using radio frequency ablation to eliminate blood flow through malfunctioning veins. The procedure is an outpatient treatment. You will receive pre-op pain medications and anti-anxiety drugs 30 minutes before the procedure. Local anesthesia is used to numb the treatment area. The vein is accessed percutaneously through a small incision in the ankle. A catheter is introduced into the vein through this small incision. The catheter delivers radiofrequency energy to the vein wall, causing it to heat, collapse and seal shut. Once the diseased vein is closed, other healthy veins take over and empty blood from your legs. As normal return flow is reestablished, your symptoms should improve considerably. Following the procedure, the catheter is removed and a band-aid is placed over the insertion site. You should refrain from long periods of standing immediately following the procedure to help speed your recovery. Many patients resume normal activities within 1-2 days. Who should consider endovenous ablation? Endovenous ablation is intended for endovascular coagulation of blood vessels in patients with superficial venous reflux (backward flow of blood through the veins). Who should not consider endovenous ablation? Contraindications for endovenous ablation are patients with a pacemaker or internal defibrillator and patients with thrombus (blood clot) in the vein segment to be treated. What are some of the benefits of endovenous ablation? Patients who undergo endovenous ablation report feeling some pain and burning during the administration of the local anesthesia prior to the procedure. After the local is given, during the procedure, the patient may experience some heat. How is the endovenous ablation procedure different than stripping? During the stripping procedure, the surgeon makes an incision in your groin and ties off the veins, after which a stripper tool is threaded through the saphenous vein and used to pull the vein out of your leg through a second incision. 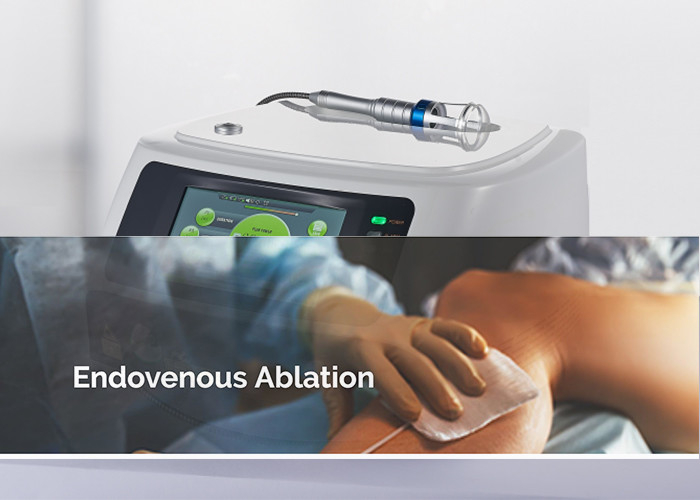 In this endovenous ablation procedure, there is no need for stripping; instead, the vein remains in place and is closed using a special radiofrequency catheter inserted through a small incision. This minimizes the bruising and pain often associated with vein stripping (i.e., stripping may result from tearing of side branch veins while the saphenous vein is pulled out). Vein stripping is usually performed in an operating room, under general anesthetic, while the endovenous ablation procedure is typically performed using local anesthesia. Many patients can resume normal activities within 1-2 days after the endovenous ablation procedure. For a few weeks following the treatment, you should being a regular walking regimen and refrain from very strenuous activities (heavy lifting, for example) or prolonged periods of standing. You can exercise strenuously again two weeks after the procedure. Most patients report noticeable improvement in their symptoms in the 1-2 weeks following the procedure. After the procedure, will there be scarring, bruising, swelling or numbness? Patients report minimal scarring, bruising or swelling following the procedure. Most of this is seen in the first 2-4 weeks, if at all. Some numbness may be experienced at the groin level and medial thigh and knee. This usually resolves. It may take 1-6 months. When can I fly after endovenous ablation? Typically, you can get on an airplane 3-6 weeks after the procedure, depending on the duration of the flight.